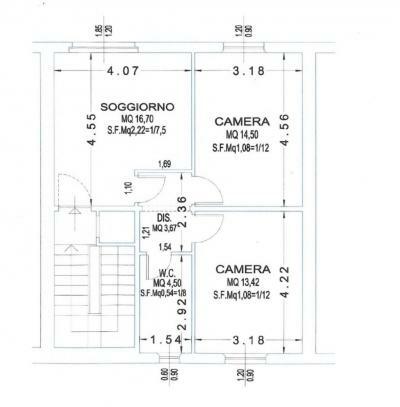 Apartment for Sale to Fermo Ref. Central, with all services at hand, sell Apartment to live now, characterized by wide and comfortable, recently renovated, located on the second floor, without elevator (then charges contained) comprising hallway in the living room, functional for both the stay and for the kitchen served both by comfortable balconies, in addition to the toilet; hallway night area composed of three comfortable rooms with convenient and comfortable bathroom (both services are with Windows). Service systems are up to standard. Autonomous heating, equipped with latest generation double glazed window frames that make a good level of thermal and acoustic insulation.